June is Membership Month at the Niagara Artists Centre, which means it’s the perfect time to launch our new Member of the Moment feature. We asked NAC members about art in Niagara and the number one reason to join the NAC. In her interview, artist, professor and NAC member Donna Szoke tells us the best thing about being an artist in Niagara, a local artist whose work left her gob-smacked, and why art should be “a living process inside a thriving community.” You can sign up for your very own NAC membership online or stop by NAC at 354 St. Paul Street in St. Catharines during gallery hours to get your membership in person. Sign up in June, and your name will be entered in a draw for a Special STRUTT Wearable Art Weekend package that includes a pair of Curator’s Row tickets (front row seats) to the Saturday night runway show. Donna Szoke is a Canadian artist whose practice includes video, animation, media art, installation, drawing, writing and collaboration. Her work has been exhibited in Canada, US, France, Germany, Turkey, Hungary, Croatia and Cuba. She has received numerous awards for her art research from funders including SSHRC, Canada Council for the Arts, BC Arts Council, and Ontario Arts Council. She holds a BA, BFA, Sculpture Diploma, and an Interdisciplinary MFA. Szoke’s art practice began in Winnipeg MB, designing for Guy Maddin’s early films, creating performance art, and conceptually based drawings. After moving to Vancouver, her practice shifted to digital video, collaboration, and installation. Her recent work includes interactive animation and printmaking. Her work is informed by critical studies with repeating themes of immanence, embodied perception, and the fluidity of lived experience. She is currently an Assistant Professor of Visual Art at Brock University in St. Catharines. You can read more about Donna and her work at www.donnaszoke.com. 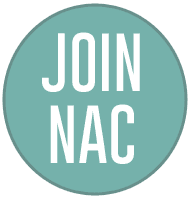 When did you become a NAC member and why? In 2009, because I’ve been a huge supporter of artist-run culture since my early career in Winnipeg, and my many years in Vancouver. Are you an artist, an art appreciator or both? What’s the best thing about being an artist in Niagara? It’s a very intimate and supportive community. You are quickly known, and the community is supportive in a very direct way. Name a Niagara artist whose work knocks your socks off. The late Tobey C. Anderson. He did a massive painting for a private collection in 2013 that had / has me completely gob-smacked. Tell us about a memorable NAC experience. September 10, 2009: I’d just flown into St. Catharines, had slept three hours, was excited about the new school year, and had just received a grant to produce a video art piece. I was a bit disoriented, but made my way out that evening to a Cuban punk / performance art trio, Popeye’s Golden Theory, a NAC event held at the Mikado. It was about halfway through their strange and wonderful rendition of “Surfing USA” that I realized I’d landed in the right place, with the right people!! What’s the number one reason to become a NAC member? Get involved in your local artist run culture! Art is something you do everyday. It’s something you need support with, feedback for, and perspective on. Art isn’t just what ends up in a gallery it’s a living process inside a thriving community. Check back for more Member of the Moment interviews throughout June.